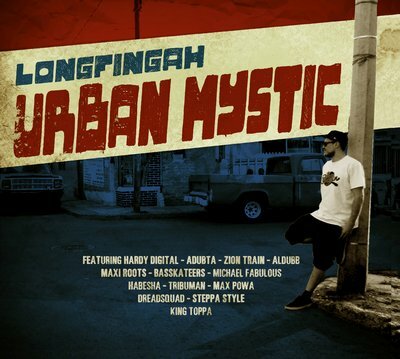 „Urban Mystic” is the 4th album of German MC Longfingah. The first sneak that this is the album of a singer is the list of the producers on the cover. The variety of artists (Zion Train, Adubta, Habesha, Dreadsquad to name just a few), who prepared the riddims, would also suggest that the MC is not scared to deal with any style connected to reggae music and you know this from the very first minutes of this album. Longfingah easily flows or chants on every riddim and he’s not losing his characteristic feature of his voice. Speaking of riddims, they are the big advantage of this LP – modern, urban styles, ranging from very nice raggamuffin or digital vibes to heavy bass and steppa bangers. The album is not embedded in one style but everything is connected through energetic, good vibe. Very enjoyable, both vocally and musically!